I had absolute BALL over at Rosalyn's house for her newborn session! She slept the entire time and is so incredibly beautiful! She is so precious and her little features and just perfect! What a precious little doll she is!! 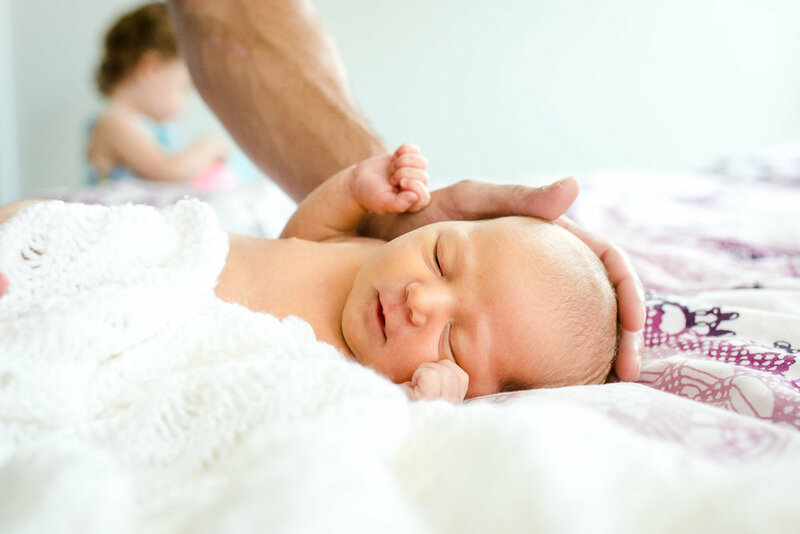 And her adorable big sister adores her and that's always a huge win at a newborn session! 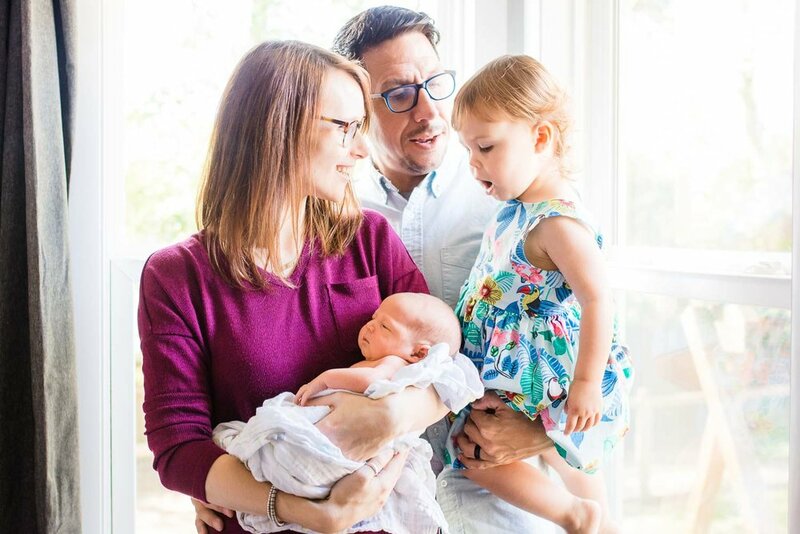 :) Her parents deserve all sorts of kudos because they were in the process of remodeling their lovely Nashville home and were still in the process when baby Rosalyn decided to make her debut. 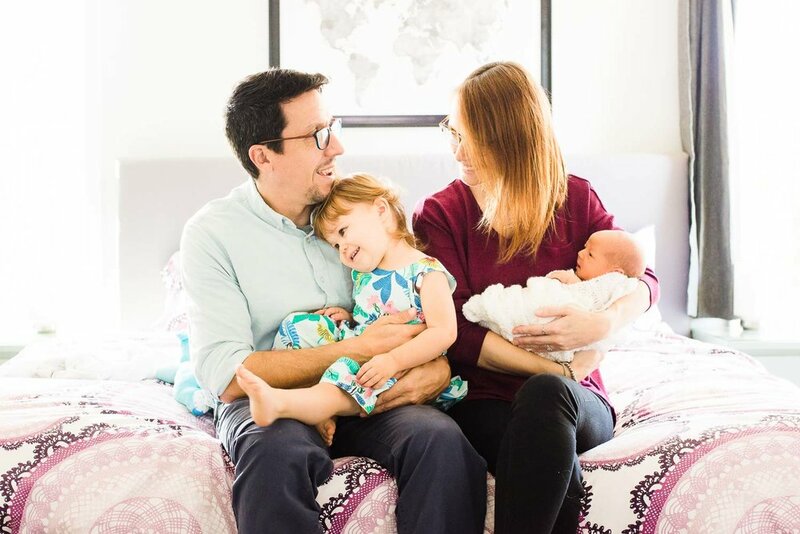 A newborn, a 2-year-old, and remodeling your home - that's a lot to juggle if you ask me, but they are such relaxed and delightful people that it didn't even seem to phase them! And the remodels they did were gorgeous! They added on another bedroom and bathroom to their house - talk about impressive! I loved hearing all about their lives too! Like how Kim is from England (and she has the most beautiful English accent) and how her and Christian met overseas. The two of them have done so much traveling together and living in different countries and so a family photo with the map behind them was just perfect! 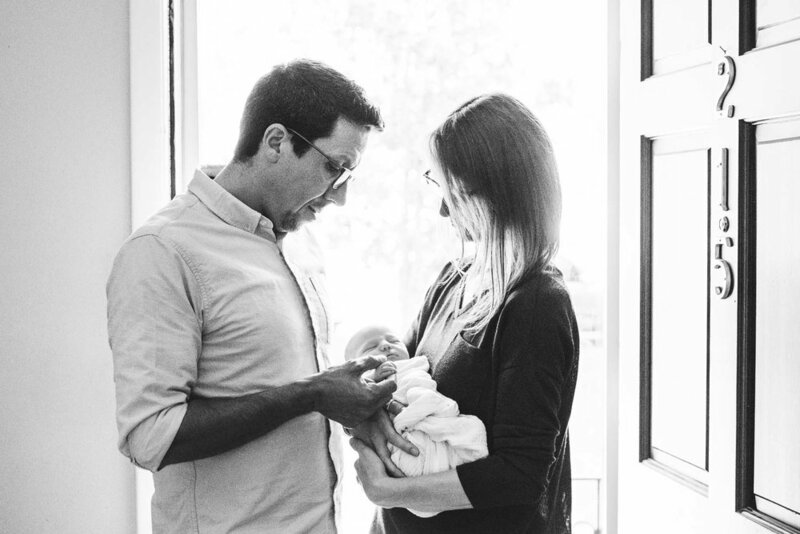 Thank you so much for welcoming me into your home and allowing me to photograph your beautiful baby girl and your gorgeous family! Your family is truly an absolute delight to be around and I enjoyed every second!